I’ve been creating art since I was 5 years old and received my first Prang watercolor set. Painting has developed my eye for color and composition in the kitchen, and my culinary work has expanded my creativity in my art studio. People have always raved about the colorful foods I create in recipes for my cookbooks, meals for friends, family, and clients, and conference buffets in real life. Now you know why. :) It’s that artist’s eye. Visit my new art website to see what I’m up to. Walk right into my world! 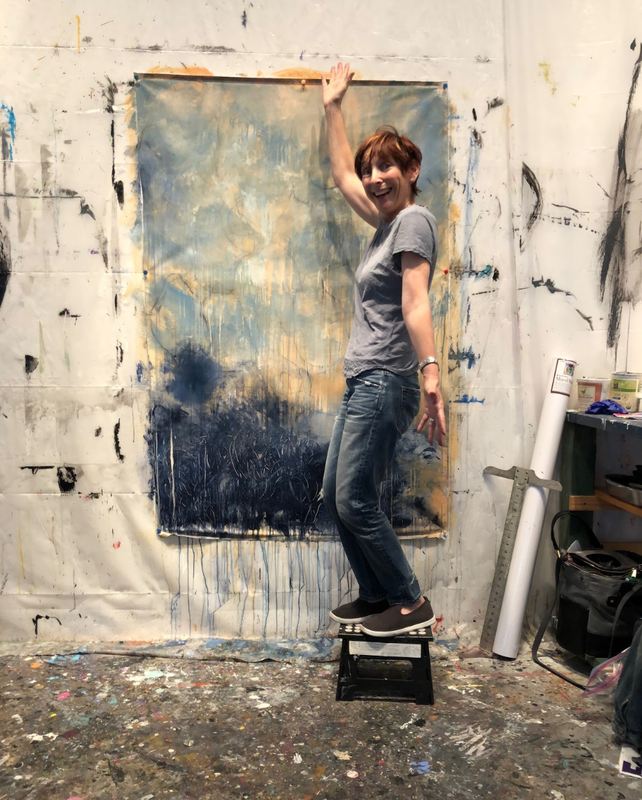 I hope you can join me for Artists at Work, but whether you can be there in person or not, I have an inside story to share with you about a big art/life breakthrough that I just experienced. I recently took an immersion workshop in large-scale painting in Santa Fe, New Mexico at Living Your Wild Creativity. I really didn’t know what to expect. What I discovered: when you go large, spread beyond your comfort zone, live large, and push a little bit, unbelievable things can happen that you couldn’t even begin to imagine. I’ve had a tough year, dealing with hard issues in my life. When I went away for four days by myself to Santa Fe, where the sky is SO huge, and everything is larger than life, I found everything pushed my limits! I felt very small in this very large landscape. At first I felt out of my element and intimidated. I was of course thinking, What am I doing here? I’d left the comfort of home, my daily routine, my kitchen, my everything! I was in this new creative space with 5 other amazing painters. I was feeling… very small. You know how you can contract at the very beginning? When you feel uncomfortable? I remember having that feeling when I went to culinary school at age 37, entering a new world that was very uncomfortable at first. Until I started rising to the occasion. I also felt that way when I was in Italy in 1995, when I was on my life sabbatical. I felt so uncomfortable in Rome at first.. As I moved through the year, something shifted. A channel opened, and allowed me to be so much greater that I thought I could be. On Sunday during the painting workshop there was this passage I was painting. I was listening to music on my earbuds. Music is so evocative. I felt something break open, in a good way. My heart expanded to feel SO big! I could feel it in my chest. Much to my surprise my instructor and amazing artist, Suzanne Jaquot, took that picture of me at the very top of the page. At this monumental moment in my life! The painting just burst through and opened me up. I was with a group of extraordinary women. We were painting together for 3 days. We shared meals, conversations and revelations, juicy bits, at 6 in the morning and late-night confessions. We felt a delicious camaraderie in the studio, that sense of exceptional support and community that allowed us to go large, being encircled by people encouraging one another. Painting is very much like a single sport. We were like the friends and family waiting for each other and cheering at the end of our marathons. I want to encourage YOU to to explore going large by way of any process you love. Pushing a little more. What happens when we go outside of our comfort zones? I can report back that it’s pretty juicy. And it’s big. It makes us feel expansive and connected, in the most extraordinary ways, to ourselves and to others. It’s really a gift! Painting is my thing, but it can be anything you’re are passionate about doing. Crafting, cooking, singing, running, or helping in your community, What possibilities await us when we live bigger? It’s another part of a juicy life! Granted, you may have to get through all the rough bits to get there. Once you’re at the top of that mountain you’ve been climbing, you get to see all the beauty! Meanwhile, how can we go outside our comfort zone in the kitchen? Things that you normally wouldn’t make by yourself, or a food you are not normally going to try? What might that be for you? 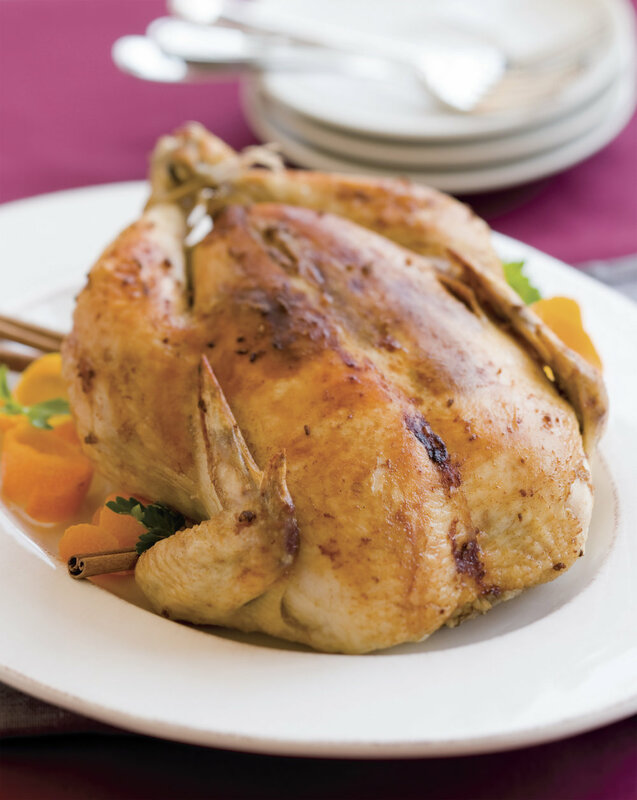 Are you a little intimidated by the thought of roasting a chicken? Making stock? Cooking greens? Cooking fish? Using your knives? What’s uncomfortable for one person may not be uncomfortable for another. For me, every year it’s that friggin’ turkey! I still get a panic attack. Other cooks think, that’s the easiest thing in the world! What is your problem? Even if it’s a little thing you’re stuck on, getting past it is a BIG thing! And it’s very much like trying a new color in a painting. What’s the worst that can happen? You don’t WANT to know how my brown rice turned out the first time in culinary school (cringe!). Experimenting can be daunting for all of us. The bottom line is, none of us like change. We have to work at it. But why not go for it? Surprise yourself! If you’re in the Bay Area and want to come talk food and art, I hope you’ll join me for Artists at Work at the ICB Building (Industrial Center Building) this Friday, September 24th from 1 to 8 pm PDT. Or save the dates for Artists’ Winter Open Studios Friday, November 30, Saturday, December 1, and Sunday December 2 from 11am to 6pm PST. Free admission and free parking for both events. Always wanted to learn to roast a chicken? Try this one! I’ve replaced the common rosemary-thyme rub with ginger, orange zest, and cinnamon, which makes this chicken anything BUT bland and dry. Rubbing the spices under the skin, filling the cavity with more aromatics and orange juice, and then roasting the whole shebang makes for one moist, tasty bird! 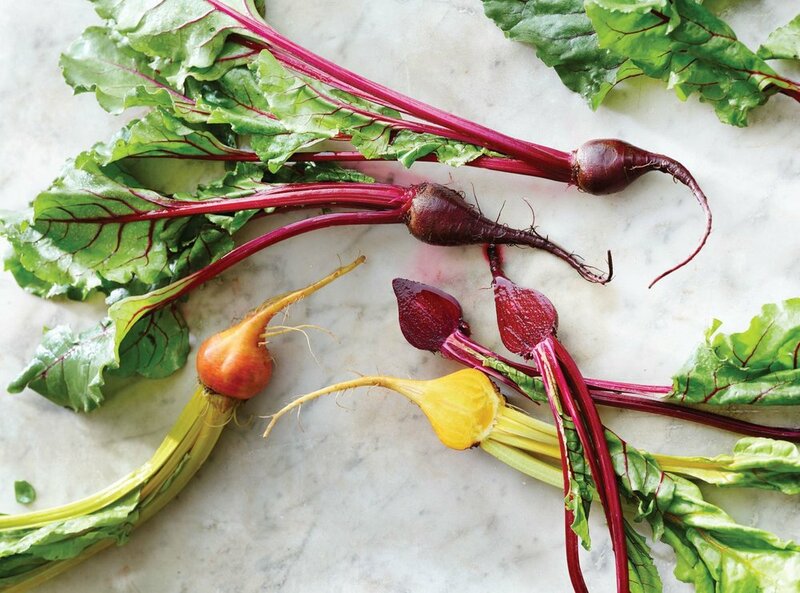 Don’t hesitate to cook with beets! The color washes off your hands, they are delicious and nutritious raw, roasted or steamed, and you can’t beat them for color (pun intended. :) In this recipe, lentils are the foundation for a wonderful blend of citrus and crunch, with fennel, sweet roasted beets, and walnuts all gleefully playing together in the sandbox. Are you still not sure about cooking greens? This is an easy and rewarding recipe to try that will kick-start your taste for this superfood, a lovely autumn version with delicata squash, garlic, red pepper flakes, and freshly squeezed lemon. The chopped roasted hazelnuts take the entire concoction completely over the top. GOING OUTSIDE YOUR COMFORT ZONE CONJURES UP DIFFERENT PICTURES FOR DIFFERENT PEOPLE. BUT ONCE YOU DO IT YOU’LL DISCOVER THAT SO MANY UNEXPECTEDLY WONDERFUL THINGS CAN OPEN UP! Newer PostWe’re back in the kitchen! American eating habits are changing.